The IWW Convention is coming up this weekend – the same weekend as DragonCon. 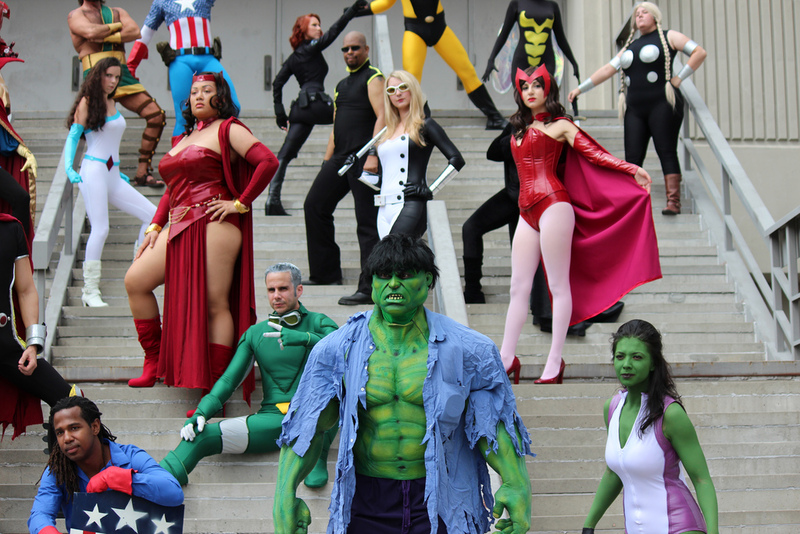 Somehow, despite growing up as a nerd in Georgia, I’ve never been to DragonCon, and really want to go. However I also haven’t been to an IWW Convention since 2007, back when they were still assemblies, and I’ve decided that DragonCon could wait one more year. Part of what makes DragonCon so tempting is that, although I think that General Convention and similar events can and should be very important in the kind of organization we want to be, I think we treat it as an afterthought, a ritual to be performed yearly but which is practically devoid of meaning. If it is just a ritual, it’s a pretty expensive one. I sometimes say that I’m on the “right wing” of the union, and one area where that is definitely true is the way we spend money. Let’s imagine that the average convention delegate (at least if travelling from somewhere in North America) spends $300 dollars on travel costs, takes one day off work losing $100 in wages, and spends $100 over the weekend. That comes out to $500, some of which will be born by the branch, and some by the individual delegate. Assuming 40 delegates, that comes to $20,000. If we add in the fixed costs of space rental, flying in officers, etc., $25,000 seems is a reasonable estimate. What else could we do with $25,000? Well, we could keep the Industrial Worker newspaper in print, for one. In fact, we’d probably have enough left over to hire a part time staff person for the paper. We could also print or reprint important books; maintain a relevant and functioning website; supply every branch with pamphlets, stickers, and attractive propaganda; pay a year’s rent on three Branch offices; or pick an important organizing opportunity and bring in two stipended organizers for six months. I bring these things up to give context to how much money that is for us on our shoestring budget. When we do other events, such as Work People’s College or the Organizing Summit, we probably spend very similar amounts of money. Any time we’re spending that much money (not to mention members’ time and effort) on something, we should ask ourselves why we do it. So, why do we do Convention? The official answer is something about how Convention is the ultimate expression of internal democracy, where all of the important questions of the union are dealt with by the membership itself. This sounds great – but how true is it? In recent years, the only really stirring, debate-provoking questions brought for decision at Convention, the only ones that caused serious discussion among multiple branches and the broad membership of the union about the direction and strategy of our union were the two proposals at the 2012 Convention to take a strong position against no-strike clauses, and to place strict limits on paid organizers. As far as any reference to the outside world, there is practically nothing: no discussion of Fight for 15 in 2013, no discussion of Occupy in 2012, no discussion of the Wisconsin movement in 2011. This last is especially poignant since our union made a major intervention in that movement, committing both financially and with members’ time, and two of the stipended organizers wrote a long-ish, detailed report which was distributed at Convention. Our intervention in Wisconsin put us on the radar of many, many people who are interested in (re-)building a radical labor movement – and we act as though it never happened. Can anyone imagine that the UE, after carrying out the 2008 occupation of Republic Windows in Chicago, would just forget that they’d done it and never bring it up in internal membership discussion? Or that the Spanish CNT, currently working with other independent unions to build for a general strike outside of the framework of that country’s business unions, will not draw out the balance at their next Congress? For a person, making a major life decision and then never thinking about it again, would be something diagnosable. More than “Dude, where’s my car?”, it would be like someone buying a new car in cash, and then forgetting not only where it was but that they had even bought it. What have we talked about at recent conventions? Charges procedures, procedures for dealing with sexual harassment, the split of dues between branches and GHQ… All of these things are important in their own way, but only if we’re actually building the kind of organization that can actually contribute towards radical social change. As far as I can tell, the last time that Convention discussed anything related to the outside world was in 2006, when there was a proposal for the IWW to join the nascent “Zezta Internazional” that the Zapatistas were proposing (and which seems to have quietly died in 2008). Deciding whether we care about our newspaper and/or webiste, and if so, how much. No doubt there are other things that have merited discussion that I’m either not aware of, or forgetting. The point here isn’t to name every single thing we ought to talk about, it’s to point out an area where improvement would help make us a stronger and more relevant organization. So if Convention is the ultimate decision making body of the union, where members set the direction, and none of this stuff is brought up, then just when are these things discussed, weighed, and decided on? Some are discussed by the Executive Board, some by other committees, some are discussed informally by individual members on list serves or Facebook. I’d say for the most part many of these questions never leave the discussion stage – no decisions are made, the union continues in its eternal present, undisturbed by the world around it, branch meetings are a ritual and listserves are just talking clubs. In other words there is a certain level of democratic deficit and a certain level of simply refusing to engage the world around us. Maybe right here is part of the key of our stagnation of members and branches. As an organization, we’re don’t currently have a good way of organizing a higher thought process. Most organizations do this in a purely top down way, whether they are corporations, non-profits, or the majority of unions. This isn’t a natural state of affairs, it is one that has been created, and fairly recently – in the time of our grandparents there were a large variety of member-run, -led, and -financed organizations, but the past seventy years have seen an intense process of turning every part of society into either an arm of the state, or an NGO (which might as well be the same thing). Alcoholics Anonymous, some churches, and the two unions I mentioned previously (CNT and UE) are some of the few organizations who have resisted this pull more or less successfully. So I’m going to Convention because even though we have a long way to go, the organization we need to be won’t come from the moon, nor fully formed from the head of Zeus – we’ll have to create it from what we have. But what about Convention this year? One thing that’ll bring a lot to it is a planned speaking event by a member of the Spanish CNT about their current organizing in Spain. But of course what sets Convention apart from any other workshop weekend (or should anyways) is that we are not just sharing information, we are actually there to make decisions about our organization and our activity in the world around us. There are two official proposals coming to Convention, one from Atlanta and one from the European Regional Administration. The Atlanta proposal is based on a concept that was elementary in the labor movement before it was bureaucratized. This was the idea that unions were all working for the same goal, and became manifest in what was called “card exchange”, where members of one union who changed industries or moved somewhere new were welcomed to transfer into the most relevant union. The IWW when it was founded was partly based on card exchange between the different component unions, and also recognized at the founding convention that members of revolutionary unions in other countries who move to North America should be welcomed as members. This also resurfaced at least once, during the Spanish Revolution of 1936, when we extended card exchange to the embattled members of the CNT. There are a lot of complications for trying to develop a reasonable policy towards other revolutionary unions, or groups that support revolutionary unionism. Among others, there are two different international groupings – the differences between them are important but are not relevant right here. The point is that if we are ever going to get to a point of having organic unity between revolutionary unions on an international scale, it has to start somewhere. That’s why the proposal from Atlanta is unilateral – it doesn’t require us to get into any lengthy negotiations with any other organization, and it doesn’t require us to define which unions we like and which we don’t – it just extends solidarity to members of any union which, like us, calls for “abolition of the wage system”, and encourages our members to become active in those unions when relevant and to bring their experience back with them to the IWW. The ERA proposal is to establish a committee which will work with branches during the year to figure out a proposal for a rational international structure. Probably everyone agrees that our international structure needs a major overhaul but so far every proposal to change it has been made by one or a few people, and either have bunch of problems or else end up part of skirmishes between loud personalities. In contrast, the process in this proposal is great, to propose to have a structured dialogue rather than just to come with a completely worked out proposal. My branch is supports this proposal, but is suggesting two amendments. The first is to remove language committing us to especially consider relating with one specific international organization, since that should be a completely different discussion/proposal. The second is to use the framework they propose to also have this process for North America, so that our branches can collectively discuss how to organize to maximize our strengths and deal with our problems. The organization that we create, and the world we inhabit, are at a critical point. It’s not the Convention we need, but it’s the Convention we have – let’s get the best we can out of it. Postscript: As I’m writing this, the unrest in Ferguson over the police murder of Mike Brown continues, with many protests in other cities. It seems clear that the anger over continual police murder of black and brown men has been simmering at a new level since the murder of Oscar Grant, that is, since the start of the economic crisis in 2008. I doubt very much that our Convention, starting this weekend, will have much to say about this – perhaps a resolution of solidarity, but no discussion of what this means for radical industrial organizing. Personally I don’t know what we ought to say or do, which is OK, since we are a democratic organization – but I do think we need to have the internal cohesion that we could say or do something. Otherwise when the American working class moves, we will be left standing in the dust. I’ve always thought that convention seems like a big cost with little return and the numbers you use make it even more alarming. I’m not sure I would say you’re financially conservative, though, if you just want us to spend money in different/better ways. If you wanted to cut back on spending and save more/not go into debt then you would be financially conservative. Hi, thanks for the first comment! I also think that Convention is currently a big cost, which has had little return in recent years. I feel more optimistic after this recent Convention, and I’ll write why during the next few days. I definitely think that we’ve had other large expenses which seem to have had even less return. For example although I’ve had a great time at Work People’s College and the Organizing Summit, it’s unclear if having them substantially changes the union, especially in years when both have happened. It’s also unclear why we can’t/shouldn’t have more organizing discussions incorporated into Convention. Exactly this type of stuff should be up for discussion during Convention, at least after the first time we organize one so we can reflect on it, and decide whether to keep doing them, or how to divide the content between Convention and those type of events – and yet they never are. There’s never been a Convention decision to continue holding Organizing Summits or Work People’s College. This points to a democratic deficit, which will be dealt with in a future post. To be clear I’m not afraid of spending money, or putting resources into a project, as long as we know why we’re doing it. If it is something where goals can be measured, then we should be looking at hard data. If it is something that is infrastructurally necessary, then we should be clear about what the purpose of it is, and ask ourselves if it is accomplishing that, or if there are changes that should be made. The “right wing” thing is kind of a joke but I do believe in continually looking at results.